FACEIT have teamed up with the DreamHack digital festival to host this year’s FACEIT Counter Strike: Global Offensive League Season Finale. The event will happen at DreamHack Open Winter between November 26 and November 29, in Jönköping, Sweden. I know eSports are already big business, but US cable TV will be televising Counter Strike: Global Offensive tournaments soon. The top teams from around the globe will compete at the event to take home the $250,000 USD prize. 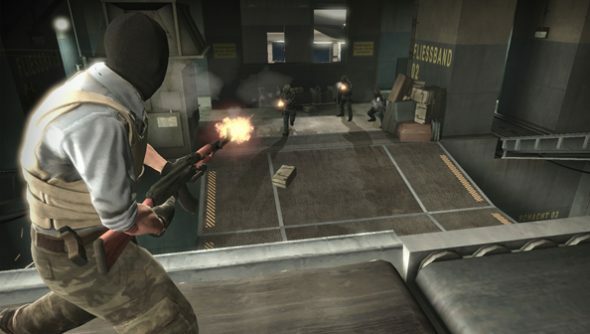 The eight top teams from around the world will be fighting over the prize on the largest Counter Strike:Global Offensive stage ever built at DreamHack Winter. Event sponsors include Intel, Monster Energy, Razer, HyperX and EIZO, Razer, Alienware, Alphadraft and Unikrn. I know most of the previous words in this news post seem like I just made them all up, but this is a real event.Tickets for DreamHack Open Winter 2015 are available here.